The intelligent hybrid extension ports auto detect, plug and play either a digital phone or a single line phone is connected. 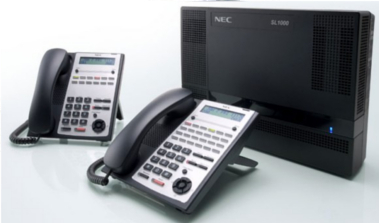 In addition, NEC door phone can also be connected to a hybrid extension port without additional investment of door phone interface card. Converged voice and data networks are here today. Connect your phones directly to your computer network.